It takes a decision to make a dream come to life. 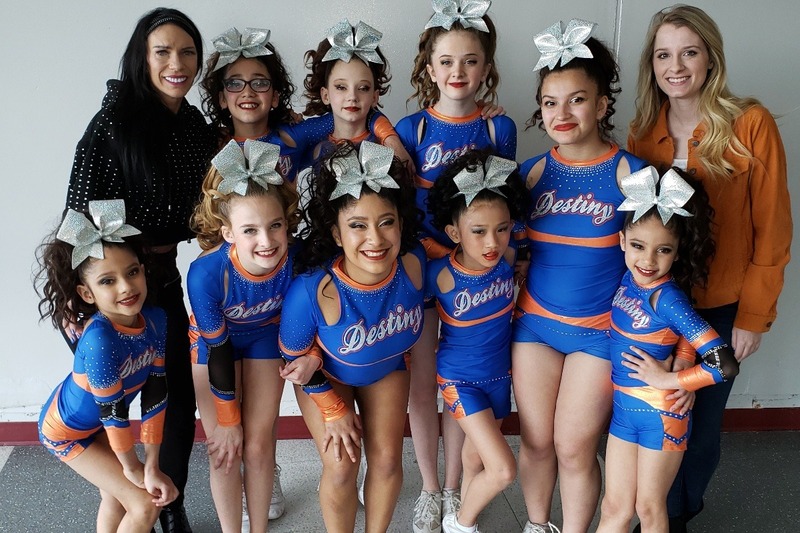 Lady Evo is a competitive allstar cheer team from Chicago IL at Cheer Destiny Allstars. The team comprises of 9 young girls who through many obstacles and tribulations have been able to attain the opportunity to compete at one of the most life changing events in the world in Orlando the Summit which would be considered the Olympics of cheerleading. As we all these kids come from many different lives. Some have struggled internally to feel self esteem and confidence, some with rough home lives, experiencing bullying at school, and some facing life-changing obstacles at an early age. For these girls cheerleading has been a source of empowerment, joy, love, and passion. Together they have learned to support one another, help each other feel love and support that only a team mate and trusted friend can give. That bond, this experience, is what will make these awesome young ladies the chance to succeed and so can you. By supporting this team get to experience this competition in Orlando you'd be helping these children grow and flourish. You'll be helping them with their expenses to be able to enjoy this experience and will forever change their lives because they too will one day grow up and help many other children do the same. Any amount can suffice as every penny is a cause to helping someone change their life for the better. And if you can't please share this with others so that they too can help aid in the mission of changing the world through supporting these children. On behalf of these 9 children thank you for supporting us and watch them change the world for the better.